The plane, which had 239 people on board, has never been found. THREE YEARS AGO today, MH370 went missing. After spending almost three years and $150 million on a deep sea hunt for the Malaysian passenger jet in the remote Indian Ocean off western Australia, top aviation investigators were earlier this year forced to admit they have come up with nothing. More questions than answers have arisen since the Boeing 777 vanished and relatives of the 239 dead fear that China and Malaysia are admitting defeat in the face of one of the world’s most enduring aviation mysteries. The only physical evidence has been debris recovered on western Indian Ocean shorelines and the discoveries, far from the official search, have prompted next-of-kin to embark on their own inquiries in Madagascar. Treasure hunters may also get involved, perhaps through the offer of a multi-million-dollar prize, said former US Air Force aviator Ronald Bishop from Australia’s Central Queensland University. “Sometimes private firms work a bit better,” Bishop said, noting they were likely to believe witnesses until they could be disproven. In contrast, government agencies tended to be more quick to dismiss witnesses’ evidence “if they are a little bit over-the-top”, he told AFP. Australia’s transport minister Darren Chester stressed this week that the search could be revived if there is “credible new evidence” pinpointing MH370′s location, thereby leaving the door open for future operations. For oceanographer Erik van Sebille of Imperial College London, the new field of deep sea mining could prove to be the key to one day stumbling across MH370′s watery grave. Searching for debris under the oceans has always been a challenge because electromagnetic radiation such as radar and X-rays do not work in seawater, leaving only sonar or light and cameras from submersibles operating very close to the seabed. “It is easier to point a telescope to Mars than to look at our own ocean floor,” van Sebille told AFP. Former US Federal Aviation Administration official Michael Daniel, now an air investigator and consultant, told AFP that it did not need to be governments who take the lead in re-examining the evidence. Private firms, lawyers and non-governmental organisations could step in on behalf of grieving families. He said it was time to reassess all the evidence. “I do think that the investigation needs to reboot in certain areas, for example in the criminal investigation area,” Daniel said. “There are still many questions and areas remaining open. “What is the motive or why would an aircraft be deviating from its flight plan? There’s really no lead in that area other than the aircraft deviated,” Daniel said of one of the central puzzles. 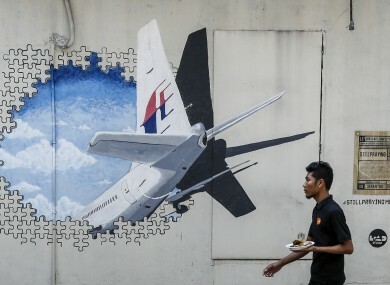 The lack of a final resting place and a clear explanation for the disappearance of the Kuala Lumpur to Beijing flight have spawned theories including a Taliban hijacking, a meteor strike and even a diversion by the CIA. Investigators have pursued leads of a possible hijacking, rogue pilot action or mechanical failure. Relatives from Malaysia and China, where most of the passengers came from, are also suspicious of their governments, believing authorities are hiding something. “We are not convinced the plane crashed into the sea. Where is the evidence?” Malaysia’s Selamat Omar, whose son Mohamad Khairul Amri Selamat was on board, told AFP. Bishop remains optimistic that the plane will eventually be found, giving closure to families. “The Titanic took until the ’80s to find,” he said of the search for the ocean liner that struck an iceberg and went down in the north Atlantic in 1912. Email “Three years ago MH370 went missing and still hasn't been found”. Feedback on “Three years ago MH370 went missing and still hasn't been found”.